Government of India's initiative towards the beneficiaries of MUDRA Loans under Pradhan Mantri Mudra Yojana Scheme. Pradhan Mantri Mudra Yojana Scheme’s main motive is to attain development in an inclusive and sustainable manner by supporting and promoting partner institutions and creating an ecosystem of growth for micro enterprise sector. 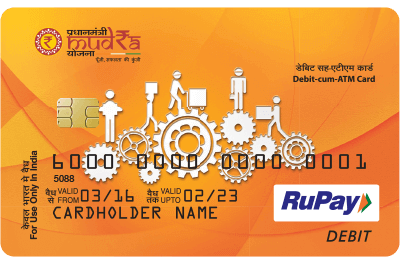 RuPay Mudra Debit Card is issued with account opened under Pradhan Mantri Mudra Yojana. An innovative product which provides working capital facility as cash credit arrangement. The cardholder can make use of MUDRA Card in multiple withdrawal and credit, so as to manage the working capital limit in a most efficient manner and keep the interest burden minimum. 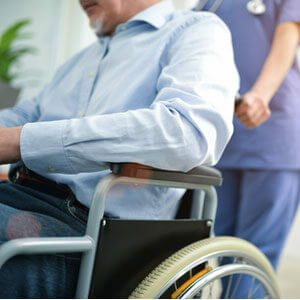 The card comes with a Personal Accident and Permanent Total Disability Insurance cover of Rs.1 Lakh.